Our team at Eastside European specializes in the service of European vehicles including Volvo. Eastside technicians know best that European auto brands, often known for their high performance, require the best attention and mechanic knowledge around. Our Kirkland Volvo repair team is fully dedicated to bringing you this superior service through excellent customer service and offering you Volvo auto service that is both affordable and high quality. 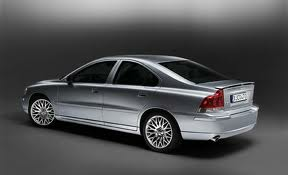 The Volvo brand is a reliable one known for its strong performance, solidarity and top of the industry safety standards. Because of our passion for European vehicles, we consider it our priority to keep your car or SUV running in the condition that it was built to run in. We handle oil changes, servicing, complex repairs, and more. Our Kirkland Volvo repair technicians can handle jobs of any size or complexity. As the local experts when it comes to major or minor auto repairs, as well as routine maintenance of all Volvo models we are proud to serve the entire Greater Bellevue area from Issaquah to Totem Lake, Mercer Island to Woodinville and Bothell to Redmond. Our technicians provide the best experience based on their body knowledge and understanding of what a Volvo requires on the inside and outside to perform its absolute best. Whether you need an oil change or transmission replacement for your Volvo C30, S40, S60, S80 or V50, Eastside European of Kirkland’s Volvo repair team is best prepared to deliver the auto service you need. We do this using only the best fluids, and factory parts designed for high performance vechicles. We know that it can be hard finding an auto shop that is both trust worthy and more affordable than local auto dealerships, so trust Eastside to be that shop. With years of experience in German and European auto repair, we look forward to your visit and continuing to serve the Eastside area. What Services Does Eastside European Offer For Your Volvo?